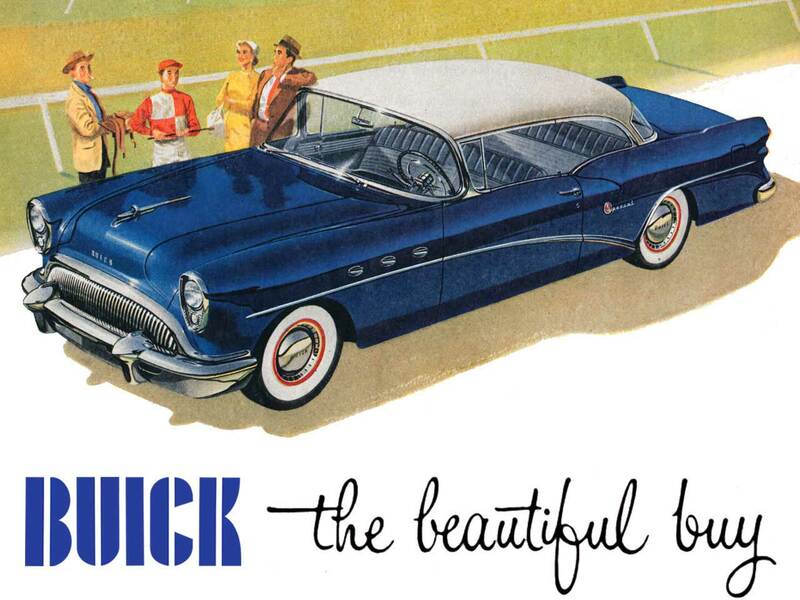 Buick made some big changes in 1954. All estate wagons were steel. For the first time, all models had a V8 engine. And the way the paint colors were assigned was changed. In 1953, the paint colors were just numbered and a number was solid or a paint color combination. Each color could have been part of several paint combinations. That changed for 1954. Each color had a specific letter, which was used to order/select the roof color. The same color could have an assign number, which was used to specify the body color. Only the optional wheel color still had the “-1” indication on the body tag. 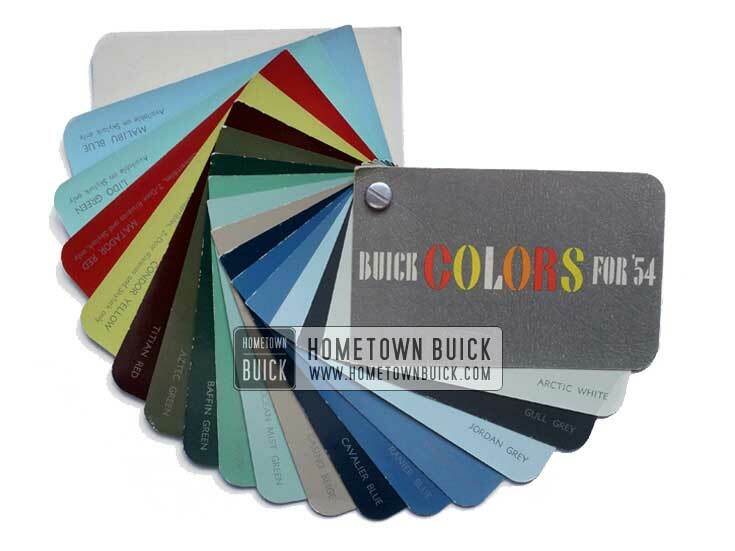 The following overview of 1954 Buick Colors reflect the start of production plus paint colors which have been added later in 1954.